Improve your wireless network security now! These days everyone has a wireless network at home or access to one at a local coffee shop or hangout. However, for home use, securing the devices isn’t the only step to protecting your personal information. 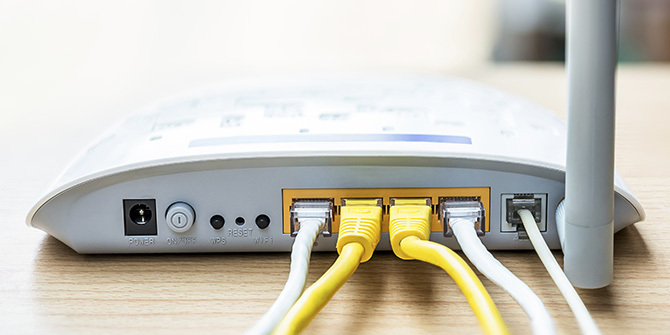 If you haven’t updated your home network’s router in months or years, you could be vulnerable to online threats already being used across the world. If you have a router controlled by your Internet provider (e.g. cable or phone company), you may want to consider adding a second personal router (firewall) for an added layer of security. Over the past few years many articles have been written on how most cable companies deploy routers that lack rudimentary security. Your laptop or desktop computer usually also has its own firewall you can turn on or off for even more protection. Taking these steps to ensure the security of your personal information requires just a little time and effort on your part. If you have recently enabled the remote management access feature on your router to allow another user (such as help desk personnel) to configure, upgrade and check the status of your router through the Internet, it is important to disable that feature once your issue has been resolved. Remote management is off by default. But a hacker might try to break your router password. It is best to turn remote management off after use, so that the router cannot be administered remotely. There is nothing like gaining access to Wi-Fi so you can stay connected with your computer, tablet or mobile phone without having to drain your data plan. However, we have all heard that saying “nothing in life is free.” That applies to free Wi-Fi, too. While no money changes hands for this use, you do give up some online privacy, which you may not be aware. Security of your personal device and sensitive information are areas that can be lost when using free wireless, unless you are adding some basic protective measures. Whether for personal or professional use, when connecting to unsecure wireless networks make sure to Stop. Think. Connect. “Security awareness and education is vital for our members to help increase their knowledge as well as give them valuable information for protecting themselves and their sensitive data,” said LGFCU’s Senior Vice President of Managed Information Systems Terry W. Phelps, Jr. Here are a few additional ways to help you protect your personal information and devices. Turn off sharing on all devices. Keep software (all applications and device operating systems) updated. Turn on your desktop or laptop firewall (PC/Mac) to block unwanted traffic whether at home or away. Improve browser security and privacy settings by keeping your browser updated as well increase the built-in security for your preferred browser. While this isn’t an all-inclusive list, these steps will give you a strong foundation for safe browsing and wireless connecting. Learn more about evaluating your web browser's security settings from the United States Computer Emergency Readiness Team (US-CERT) or more about online security awareness.